October 1908. 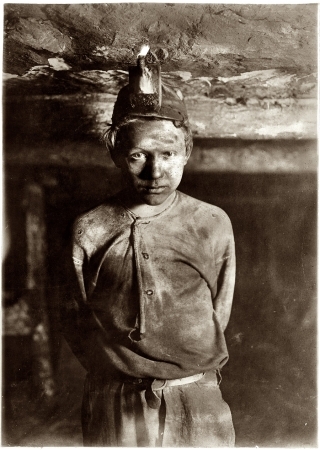 "Trapper Boy, Turkey Knob Mine, Macdonald, West Virginia. Boy had to stoop on account of low roof, photo taken more than a mile inside the mine."